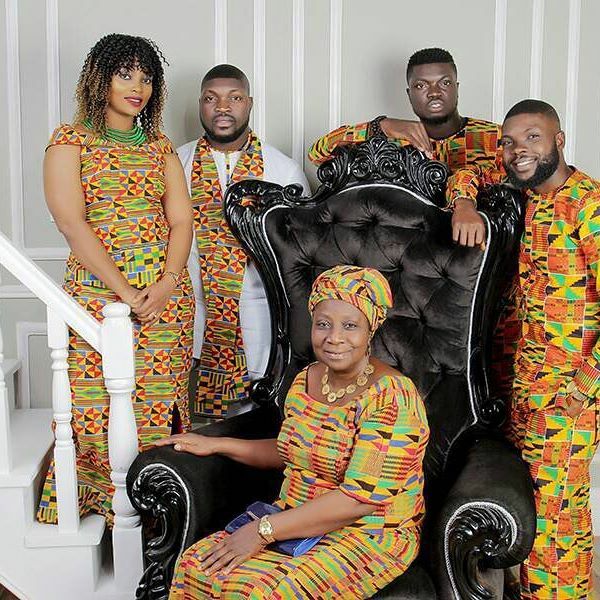 Michael Alade Badejo is the Lead Fashion designer at Badejo Culture, He is popularly called OmoTailor as a nickname because his late father was also fashion designer back in the 1970s and he has decided to carry on with the family business and to add more suavity to the brand. He has been doing great and the beautiful thing about Badejo Culture is that despite its massive impact in the community at large. 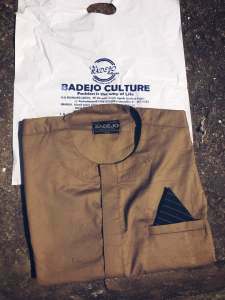 Badejo Culture brings that African touch to your denim, joggers, sport wears, casual and occasional wears at affordable prices. 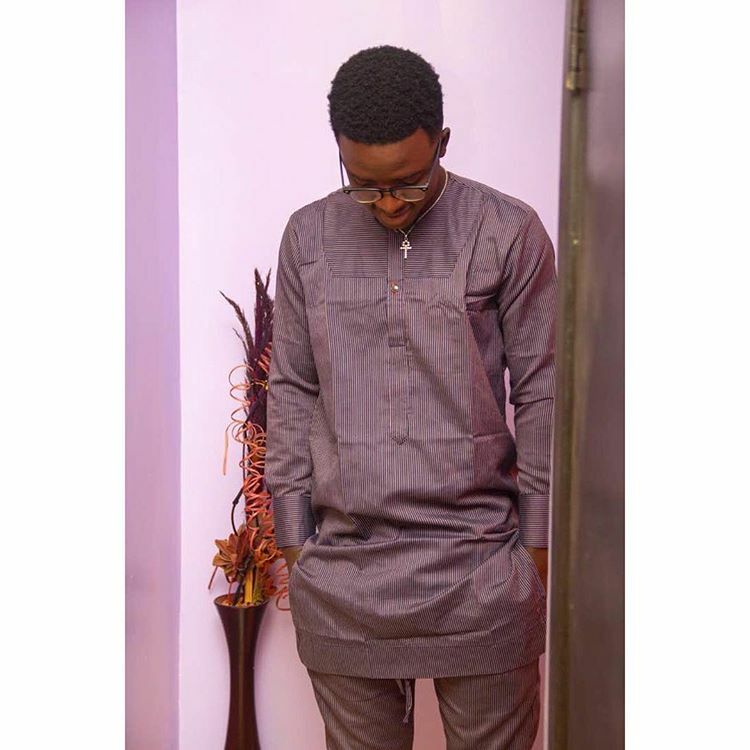 The Fashion Brand is just getting started because its major goal is to style Africa to the World. So let’s hear from the OmoTailor himself about how it all started. It all started as a dream, my dad was a fashion designer so I tapped into my dad’s legacy the popular Badejo clothing servicing in the 70s. It all started back in the university, I was done with school, I lost my dad so I just had to do something so that was the point it dawned on me that I also had the calling that my dad had while he was still alive. So I began working on the vision to carry on with my Father’s Legacy. That was the turning point for me. 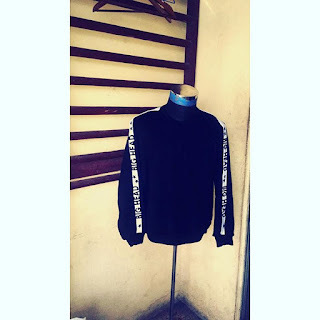 We specialize more on men’s wear, that is be-spoke suits and natives, I do unisex urban wears for girls, sweat-shirts, joggers and that’s what I specialize on for now. 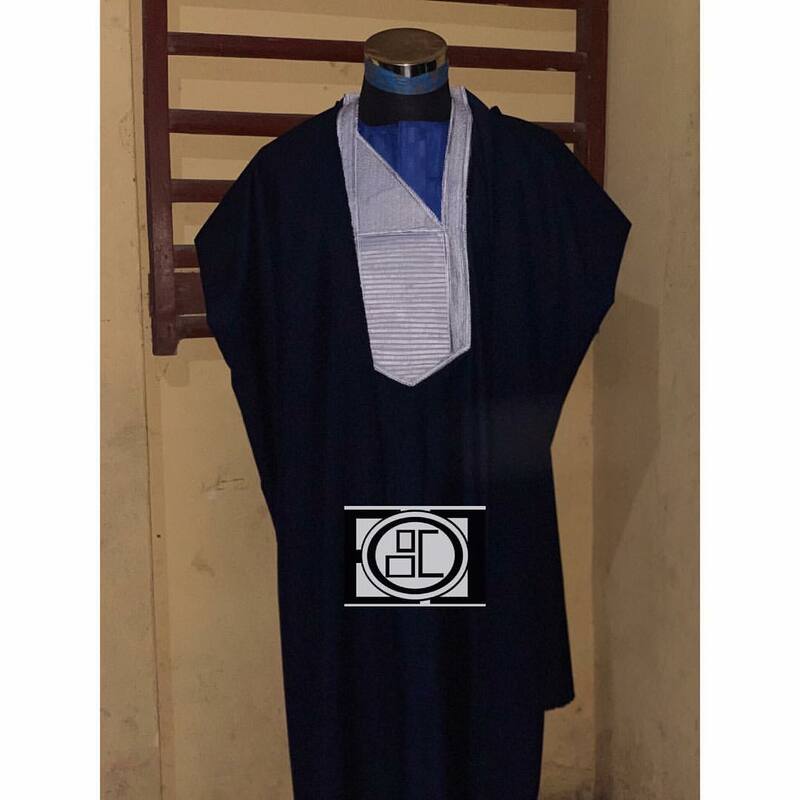 After making the decision to become a professional fashion designer, I had to make some bold steps so as to ensure that I wasn’t behind on what and what is in vogue when it comes to fashion wears. So I started following up on professionals that were kings of the game and were trending here and there, I used Instagram as a tool to look up the latest trends in fashion, I got mentors like Yomi casual and all, following them and seeing them inspired me and I said to myself, “I can do this too and even better” and I thank God it has been going well from then on. I went to a private university, and I believe going to school is networking, so I built my own network in school even and back then, my friends actually know me as “pacho” and that name is well know back then in uni days, so starting up Badejo Culture for me must have been a bit tasking in other aspects but not in the aspect of relevance because I had already made a name locally as I said earlier and this has helped me push the brand forward. Well… light and fuel scarcity and all, but we still pushing, we are Nigerians but the government still have to help us out with most of this stuffs, but as for Badejo culture as a whole we always believe that when you love something, nothing should actually stop you from being productive at what you do, so no matter the challenge we always find a way out, a way to improvise and still provide the best of services to our clients. Some believe that there are problems in Nigeria and they are always looking for ways to travel outside the country… yeah, the country has problems but at the same time, I think we have passed the period whereby we sit down and start saying you are looking for jobs and all so I think the country has passed that era, so it is now about what you can bring to the table and the impact you can create with it. You should keep pushing, you should sit down, have a mentor and have a role model and follow up on them, have someone that will put you through so that you don’t make the same mistakes that they have made so that you can grow faster, it is just for you to keep pushing and never give up because I remember when I started, my parents always said “No” that they want me to apply for a job but I fought for my right that I wanted to be a fashion designer and that is what I am doing now, I am doing what I love to do, so you can fight for your right because I believe that life is what you make out of it, this is what I want them to talk about me when I am gone like this is what Badejo culture is all about. I want people out there to know that they can be whatever they want to be, life is worth it, life is what you can make out of it. You can just think of what you want to be and work towards making it come true. Tell us where people can locate you for Consultation or Business. You can hook up with us at 29, Akinyele Street Aguda Surulere, Lagos State.